Hello! It's time for the last Your Next Stamp Fun Friday of the month! WOW, March just flew by! 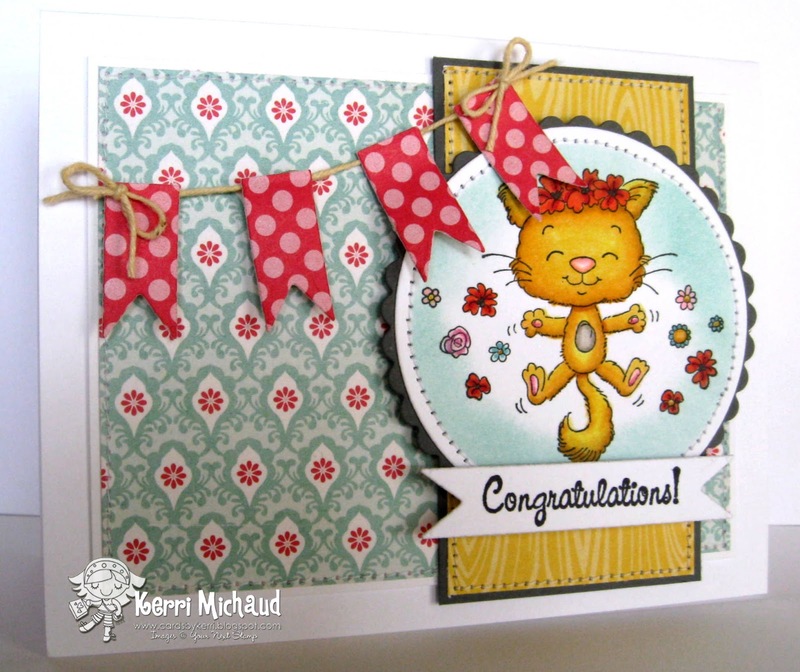 This month's theme was Celebrate, so I decided to play with this darling new kitty named Blossom! I just love how happy and excited she looks:) I also used a sentiment tag from the YNS Whatnots Seasons Set One for the sentiment and to make the banner. The layout is the Sweet Sunday Sketch #166. You still have time to play along with us! 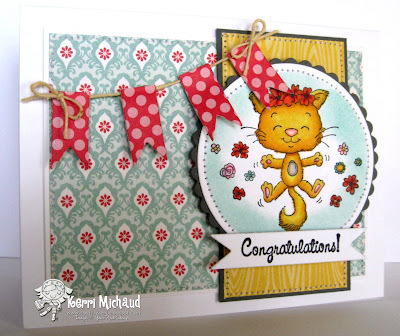 Just link your Celebration creations to the Your Next Stamp Blog HERE! That's it for me today. My hubby is taking me out tonight for an early anniversary dinner. I'm so looking forward to it! Have a fabulous weekend! How darling! What an adorable image, and I LOVE those DP's! Happy Anniversary Kerri, and Happy Easter too, hope you have fun on your date!